It's hard to remember a time before tablets. Tablet is a part of our life nowadays. We use tables watching movies, reading books, playing games, receiving emails. Especially at the cold weather nights, tablet allows you to do all you want without leaving the comfort of sofas. As the year starts to wind down, the tablets of Android, iOS and Windows operating systems are much the same. But there still top 10 tablets stand out. 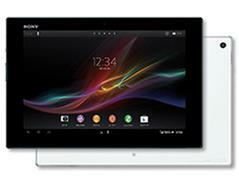 What do you think of most when buying a tablet? 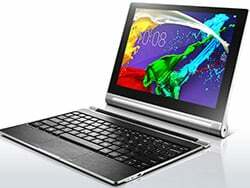 Things like price, performance, storage, dimensions, battery, operating system etc. all should be considered. Speaking of the most important things, operating system, performance and price can be in the list. Here we classify top 10 tablets 2016 - 2017 on aspects of operating system. Apple always produced high quality products including Apple iPad. Compared with other Android and Windows tablets, Apple iPad meets users needs best on playing games, watching movies etc. But relatively the high price is also the salient feature of Apple iPad. For those who have Apple series products like iPhone and Mac, there is no doubt that Apple iPad Air 2, iPad Mini 4, iPad Pro are the best tablets 2016 - 2017 of iOS. By the way, Android and iOS tablets are widely used to watch movies and listen to music no matter online or offline. If you find your offline videos or movies cannot play on these best tablets 2015 of iOS and Android, you can convert the movies or videos to Apple Android tablets supported formats with MacX Video Converter Pro, best video converter for Android and iOS to convert 4K UHD, MKV, AVCHD, M2TS, MP4, AVI, WMV, MOV, VOB, etc to any video or audio format of your choice for enjoying on tablets. Unlike iOS tablets, Android tablets are applied in wider areas. Google's Android operating system gives you a choice of hardware from several manufacturers likes Samsung, Amazon, Acer etc. and offers maximum configurability, smooth and fast web browsing, seamless integration with Google applications like Gmail, Google Maps, and Hangouts for video chat. Android tablets also support multiple user logins so that you can share your tablets with friends and family. However, more convenient and wider use of top Android tablets means much similarity among the 2015 -2016 best tablets comparison. So screening the best Android tablets comes first when purchasing a tablet. The best rated 5 Android tablets review 2015 - 2016 is introduced below. Relatively Windows tablets are not as popular as iOS and Android tablets. But Windows tablets are more talented on working, supporting .exe files. Software like Photoshop, CAD can be perfectly installed on Windows tablets. All in all, Windows tablet is totally equivalent to a small computer. In conclusion, people purchase the best tablets from tablets review 2015 owing to different usage. There is an saying that iOS and Android tablets are talented in online videos and watching movies; Windows tablets behaves well on office work. 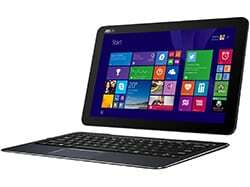 But what's the specific advantages and disadvantages of best tablets comparison of iOS, Android and Windows? iOS tablets: iOS adopted the closed system models which ensures the safety of installing apps. And it runs smoothly because no matter the hardware and software are designed perfectly. But owing to the closed system, there is a limited range of application and hardware, only supporting Apple products like iPhone 6s/6s plus etc. 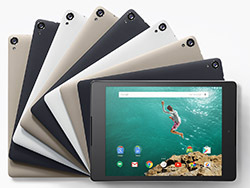 Android tablets: Android uses open source system which means many apps would launch automatically in background. This needs a powerful configuration to run smoothly. 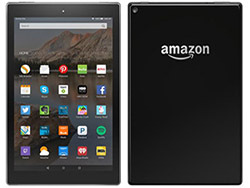 But some of the bets tablets 2015 cannot meet your requirements so as to get stucked for a long time use. 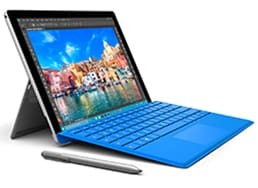 Windows tablets: Windows operating system is open, runs in a fast speed, supports a wide range of applications and third-party ports like USB. However, it needs a big space for running and storage, as well as a large consumption of power. iPad Air 2 VS iPad Mini 3: Which Will Be the Better Buy? Apple Products 2016 Predictions: iPad Air 3, iPhone 7?? MacX Video Converter Pro is an all-in-one HD movie downloader with top quality and fast speed. This feature-rich video downloading software also can help you easily convert downloaded HD or SD videos to mobile devices for offline enjoyment.